I am the type of person that doesn't like to wear pony tails for long periods of time because they tend to give me headaches after a while. Teleties are designed with a gentle hold on hair that doesn't tug and pull on the hair. These hair ties feel very comfortable in the hair. I thought my hair would get tangled up in the ties but it didn't. It slid out easily. I am guessing that the Teleties probably get their name from the fact that they look like telephone cords. They are available in both long and short style and in many different attractive colors. They even have a collegiate line of colored Teleties. When not in use, the ties look great on the wrist. Looking at them, you wouldn't even know they were hair ties. I really like the pearlescent look of a lot of the colors that are available in the hair ties. They are so pretty. 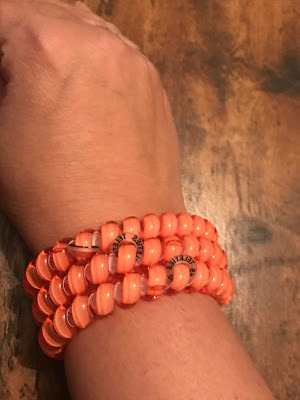 They have colors that are fun and vibrant, but also more subtle colors. 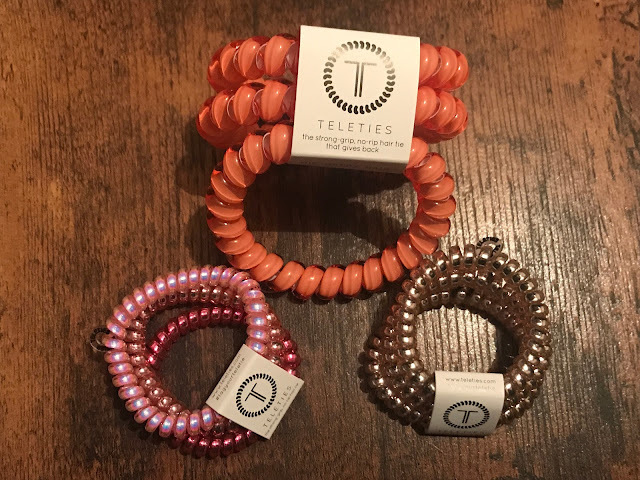 You can purchase Teleties by visiting https://www.teleties.com/. These make a fun gift for any one on your Valentine gift list. They are perfect for runners and gym lovers. 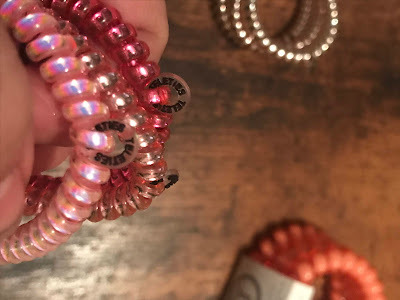 In our quest for total well-being, it dawned on us that a key element was missing in our desire for stylish athleisure: a super cute, functional hair tie that stayed accessible on our wrists without looking so, well, hair tie-ish. 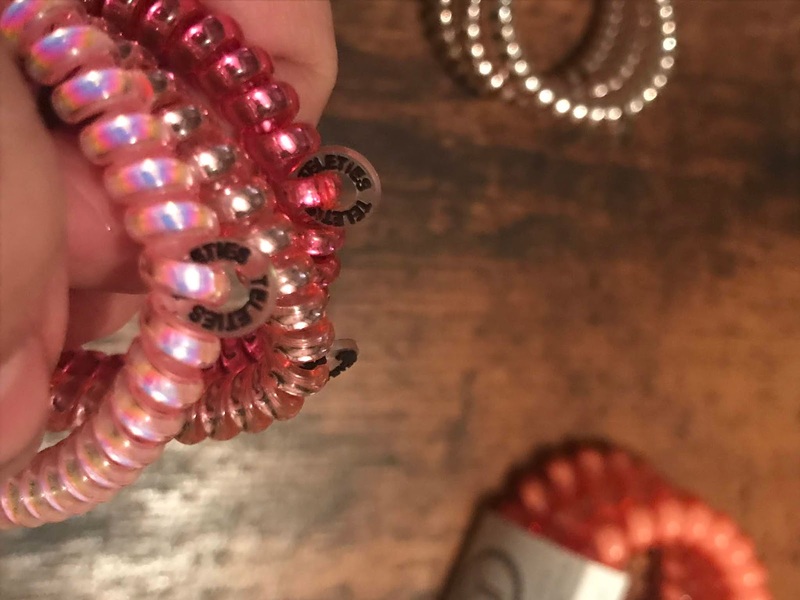 Our epiphany led us on a mission to create the perfect go-to hair accessory: an all-in-one hair tie that doubled as a stackable bracelet when it wasn’t “holding it together” in our hair. But they couldn’t just be aesthetically pleasing. These hair ties needed to be as capable and multitasking as the women wearing them. We believe that no girl or woman should have to deal with the hassle of flimsy hair ties that break on a whim and collect germs. We designed our waterproof TELETIES to stretch as far as you need them, with a strong, yet gentle grip that won’t damage your hair or cause headaches. I love these hair ties! I always end up with hair my tie around my wrist. I love that the company gives back too. Very neat! They really are pretty. I like those peachy colored ones. Those are cute! 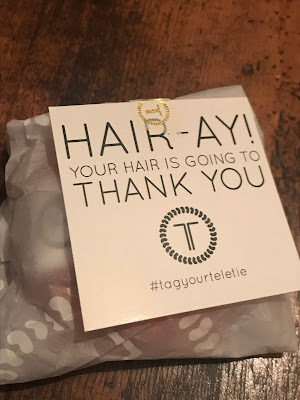 I'm weary about a ponytail too as I feel it damages my hair but this is a nice alternative!